Chess ICT along with other suppliers have been awarded a place on numerous lots for both the Desktop Hardware and ICT Solutions and Supply of Network Infrastructure frameworks. 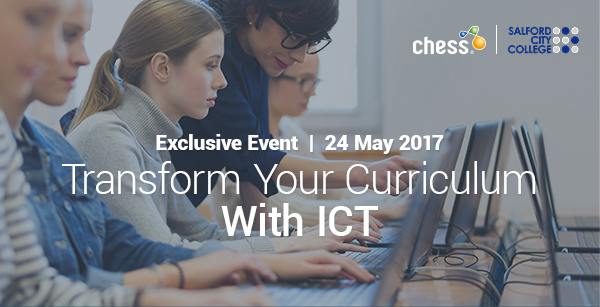 Chess ICT are holding an event which may be of interest to our members if you’re looking to develop your e-Learning strategies. For more information and to register for the event click here. If you require any additional information regarding the frameworks, please contact Contracts & Procurement Officer Karis Lucano, k.lucano@thecpc.ac.uk or 0161 974 0958.